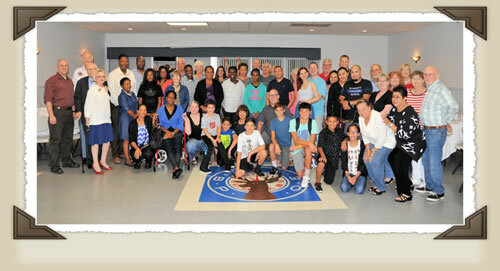 Aleethia’s “Friday Night Dinner” for August 11th was hosted by the Arlington-Fairfax Elks Lodge #2188. 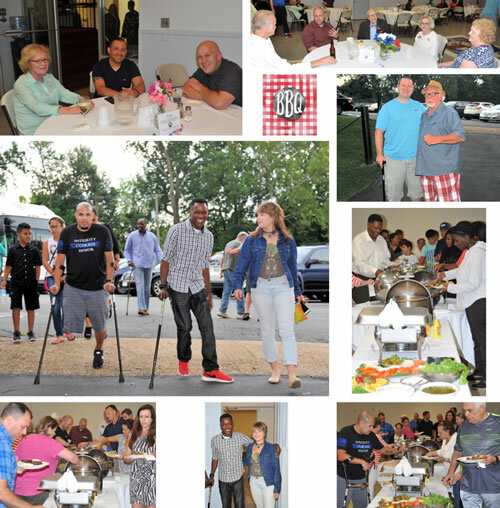 Over 56 wounded/injured service members, their families and guests enjoyed a delicious array of Burgers, Fried Chicken, Italian Sausages, Hot Dogs with 20+ different homemade side dishes and three tables filled with scrumptious homemade desserts … all prepared and served by members of the Elks Lodge. 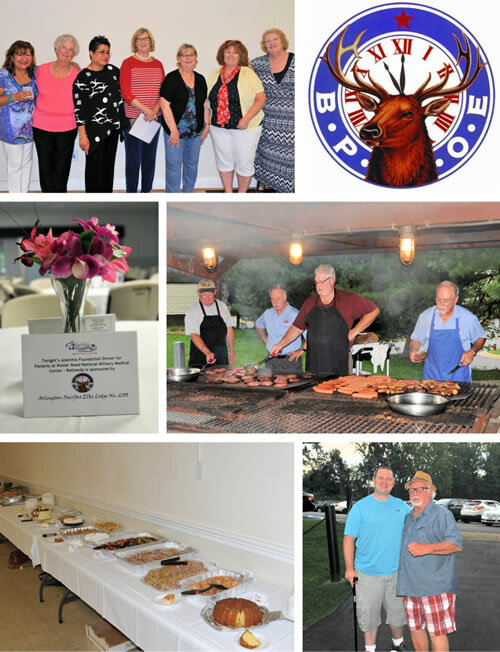 Aleethia extends a huge thank you to all the members of the Elks Lodge #2188 for the wonderful evening and a special thank you to the members who prepared and served all the wonderful homemade foods and desserts!! !